Enamel dials of the Swiss Cadrans Donzé factory masters are a symbol of historical heritage, and in 2012, the watch manufacture Ulysse Nardin acquired the production. 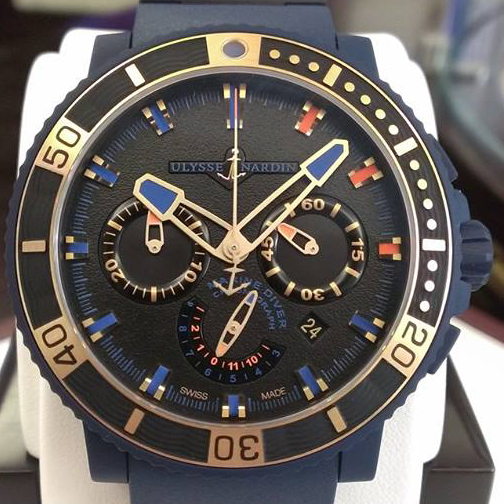 Now it is part of the Swiss company Ulysse Nardin. Vivid scenes and bizarre forms continue to come to life on dials. Brought to perfection by talented artists, the images as if torn out; in every detail, every stroke is life. All this makes the watch a work of art. One of these masterpieces is a new model by the company Ulysse Nardin - the Classico Serpent (Ref. 8156-111-2/SNAKE) watch, is a striking artistic image. The dial of the novelty is a picture of a snake. In ancient legends and myths of China, the reptile symbolizes divine beings, noble and wise. The beauty of the snake depicted on the watch dial of Classico Serpent, is passed through clearly defined lines using champlevé technique. Masters treat surface with a special tool, on the dial are cut recesses or grooves, then fill of enamel in various colors. Shades of enamel are formed by mixing of the low-melting oxides. Ready-made products are placed in the oven, where the firing process, the enamel melts and polished until it cools down. A snake hidden in the foliage, ready to attack: the threatening posture is transmitted very plausible - fangs, blue-green scales pulse, and she is ready to attack. An anti-reflective sapphire crystal protects the dial. The dial is enclosed in a round case of 18-carat rose gold with a diameter of 40 mm. The novelty is collected on the base of the manufacturing automatic caliber UN-815 (certified C.O.S.C. ), a 42-hour power reserve, and display functions of hours, minutes and seconds. Water resistance is 50 meters. The watch comes on a brown leather strap. The gorgeous new Classico Serpent watch is released in a limited edition - 88 items.